7 a.m.: Complimentary spectator parking lot opens at Lahser High School in Bloomfield Hills, Mich. Tickets, starting at $20, are available at the entrance gate. 7:40 a.m.: First round begins from the 1st and 10th tees at both the North and South courses at Oakland Hills. 8 p.m.: Shuttles run continuously from the main spectator lot to the championship until 8 p.m.
7:40 a.m.: Second round begins from the 1st and 10th tees at both the North and South courses at Oakland Hills. 8 a.m.: If needed, playoff for final match-play spots begins on Hole 10, North Course. 9 a.m.: Round of 64 (64 players, 32 matches) begins from the 1st tee of the South Course. 3 p.m.: Live broadcast coverage begins on FS1 (check local listings). 7:40 a.m.: Round of 32 (32 players, 16 matches) begins from the 1st tee of the South Course. 11 a.m.: Live streaming coverage begins on usga.org. 12 p.m.: Complimentary spectator parking lot opens at Lahser High School in Bloomfield Hills, Mich. Tickets, starting at $20, are available at the entrance gate. 1 p.m.: Quarterfinals (8 players, 4 matches), begin from the 1st tee of the South Course. Shuttles run continuously from the main spectator lot to the championship until one hour after the conclusion of play. 7 a.m.: Complimentary spectator parking lot opens at Bingham Farms Office Center in Bingham Farms, Mich. Tickets, starting at $20, are available at the entrance gate. 8 a.m.: Semifinals (4 players, 2 matches) begin from the 1st tee of the South Course. 3 p.m.: Broadcast coverage begins on Fox (check local listings). 8:30 a.m.: First 18 of 36-hole final match begins from the 1st tee of the South Course. 2 p.m. (estimated): Second 18 of 36-hole final match begins from the 1st tee of the South Course. 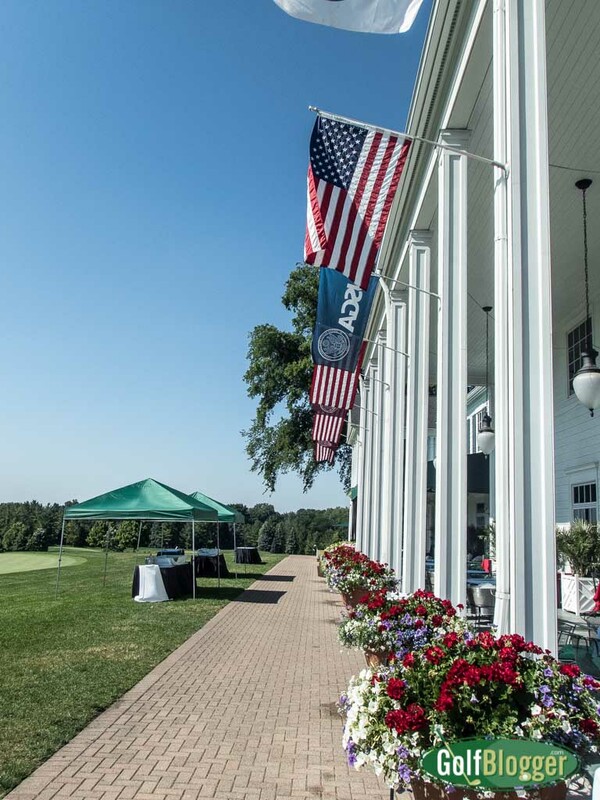 Complimentary parking and shuttle service will be provided to all spectators from the main parking lots to Oakland Hills Country Club – Admissions Gate (Gilbert Lake Road, just north of Maple Road on the North Course of Oakland Hills Country Club) during the championship. We encourage spectators to carpool, ride their bike or walk to the championship, if possible, to alleviate parking issues. IMPORTANT: Spectator parking location will change for Saturday, August 20 and Sunday, August 21. Single Day Ticket ($20): This ticket is good for any day of the championship (August 15-21). Grounds access, complimentary off-site parking and shuttle bus are included with this ticket. Book of 10 Single Day Tickets, Good Any Day ($100): This package includes ten (10) individual Single Day Tickets. Each ticket can be used any day of the championship (August 15-21). Grounds access, complimentary off-site parking and shuttle bus are included with these tickets. Weekly Pass ($75): This non-transferable pass is good for access to all seven (7) days of the championship (August 15-21). Grounds access, complimentary off-site parking and shuttle bus are included with this ticket. Complimentary tickets are available to children 15 years of age or younger when accompanied by an adult who has purchased a Single Day or Weekly Pass. Up to three (3) complimentary Child/Student tickets will be provided to each interested adult. High school and university students 16-21 years of age can receive complimentary tickets with a valid student ID. Student tickets can be ordered online or obtained at the admissions gate on the day of entry. Grounds access, complimentary off-site parking and shuttle bus are included with this ticket. Active and retired military service members with a valid military ID will be provided free admission. The military ticket policy covers all branches of service including Air Force, Army, Coast Guard, Marines, Navy and the National Guard and Reserves. Military tickets can be ordered online or obtained at the admissions gate on the day of entry. Grounds access, complimentary off-site parking and shuttle bus are included with this ticket. Please call the U.S. Amateur Championship office directly if you are interested in purchasing group tickets at 248.723.8726 or email: 2016USAmateur@gmail.com. Spectators and other championship attendees will go through security screening prior to entering the championship grounds and will not be allowed to bring any of the items listed below. To expedite admission into the championship, it is recommended that all prohibited items are safely stowed prior to arriving at the championship. Note: The use of cameras and mobile device camera features must follow the camera/photography policy. No backpacks, briefcases and/or bags larger than 6” x 6” x 6” in their natural state. Note: Transparent/clear plastic hand and shoulder bags no larger than 12” x 12” x 6” are permitted. Note: Personal-care items (3 ounces or less) are permitted. The USGA reserves the right to amend the list of prohibited items at any time to provide a safe and secure championship. Bring your cell phone: Mobile devices that are 7” or smaller are permitted inside the spectator gates. Follow the championship with live scoring,video, photos and more at usga.org. Device volume controls must be set to silent or vibrate at all times. Phone calls cannot be accepted at any time near the golf course, due to the risk of disrupting play. Photos are permitted Monday through Wednesday and social-media posting is encouraged using the hashtag#USWomensOpen. Follow the U.S. Women’s Open on Twitter (@usga), Facebook (USGA) and Instagram (@usga). Video recording is not allowed at any time. Be considerate of others – kneel or sit if you are in the front row of the gallery. The U.S. Amateur involves substantial walking on grassy hills and other uneven surfaces. Please wear appropriate footwear, such as sneakers. *Making rude, vulgar or other inappropriate comments or gestures. *Verbal or physical harassment of players, volunteers, officials or fellow spectators. *Distracting a player or causing any disruption of play. *Behavior that is unruly, disruptive, unsafe or illegal in nature. *Failing to follow the instructions of a championship official, volunteer or security personnel. Spectators may carry mobile devices smaller than 7″ in length and/or height, including cellphones, smartphones and PDAs. All device volume controls must be set to silent or vibrate at all times. Phone calls must not be received or placed in any area that may disrupt play, including grandstands. Use of approved devices for photographs is subject to the camera/photography policy. Video and audio recording are not permitted at any time with any device. Texting and email are permissible throughout all areas of the golf course, but should not disrupt players. Video and audio recording and live broadcasting are not permitted at any time. Cameras are not permitted during championship rounds. No photography is permitted in the presence of a player from the time he addresses the ball until the completion of his swing (i.e., when a marshal’s arms are raised). Video and audio recording are not permitted at any time with any device. Violation of any of the terms herein may result in immediate expulsion and loss of ticket privileges for the remainder of the championship. The USGA will have a meteorologist on-site monitoring the possibility of dangerous or inclement weather. If hazardous weather conditions are approaching, special “weather alert” signs such as the one above will be displayed on leader boards around the golf course. When the sign appears, spectators are advised to take immediate precautions (including clearing grandstands) PRIOR to play being suspended. In the event of a weather alert, please avoid open areas, hilltops, high places, isolated trees, golf carts and wire fences. If play is suspended, indicated by one prolonged air-horn blast, please close your umbrella and seek shelter. In the event of a suspension of play, grandstands will be cleared immediately. Please note that play will resume as soon as conditions allow. Check usga.org and @USGA on Twitter for notices regarding suspension of play, gate closures and other weather-related information.